Bounce Now is a seven-level primary series, with an additional Starter Level. It presents a range of unique components and features and is supported by a digitally enhanced, well-balanced four-skills program. 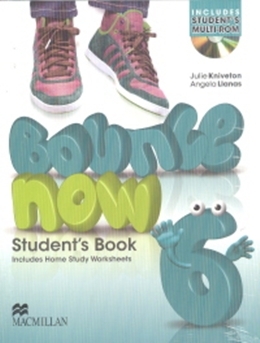 Bounce Now provides carefully developed learning skills and subject link content, and continues to offer an enjoyable but comfortable start to learning English.